A growing number of pollinator species that are key to the world’s food supply are headed towards extinction, warns a new United Nations report—one of the first global assessments of pollinators. “If pollinator declines continue at this rate it will have serious implications not just for human food security and economics but also for biodiversity and the health of ecosystems in general,” says Berry Brosi, assistant professor of environmental sciences at Emory University. 75% of the world’s food crops depend on pollination by at least one of the 20,000 species of pollinators. Brosi, a biologist and ecologist whose research focuses on both managed honeybees and wild bees, was among 77 international experts who worked on the UN’s Intergovernmental Panel for Biodiversity Ecosystem Services (IPBES) pollinator assessment. They spent two years evaluating information from more than 3,000 scientific papers, as well as indigenous and local knowledge from more than 60 locations around the world. Seventy-five percent of the world’s food crops depend on pollination by at least one of the 20,000 species of pollinators, including bees, butterflies, moths, wasps, beetles, birds, bats, and other vertebrates. And yet, the report warns, more than 40 percent of invertebrate pollinator species, particularly bees and butterflies, face extinction—and 16 percent of vertebrate pollinators are also under threat. The report cites diverse pressures on pollinators, many of them human-made, including habitat loss, use of pesticides such as neonicotinoid insecticides, parasites and pathogens, and global warming. Many crops also represent an important source of income in developing countries, such as coffee and cocoa. The report found that the annual total value of global crops directly affected by pollinators is between $235 billion and $577 billion. The report provides a portfolio of ways to reduce the risk to pollinators, including the promotion of sustainable agriculture, reducing pesticide use and maintaining patches of natural habitat amid agricultural fields. The global assessment follows several calls for action at a national level, including the National Strategy to Promote the Health of Honeybees and Other Pollinators launched last year by President Obama. The volume of agricultural production dependent on animal pollination has increased by 300 percent during the past 50 years. Nearly 90 percent of all wild flowering plants depend at least to some extent on animal pollination. 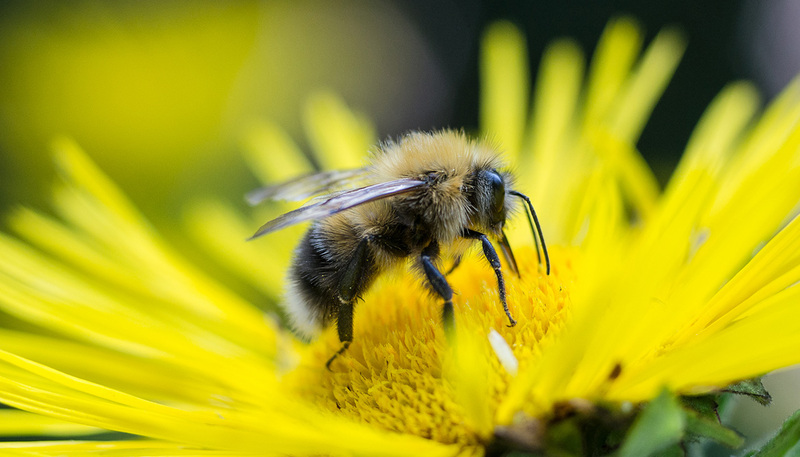 In addition to food crops, pollinators contribute to crops that provide biofuels (canola and palm oils), fibers (cotton), medicines, forage for livestock, and construction materials. Pollinators, especially bees, have also played a role throughout history as inspirations for art, music, religion, and technology. Sacred passages about bees occur in all major world religions.